No not the Weird Al song (although that is awesome). I refer of course to radio triggers. What is a radio trigger? Well, very simply this type of device transmits a signal which then tells a receiver unit to make a pulse of electricity, which fires either a flash or your camera. 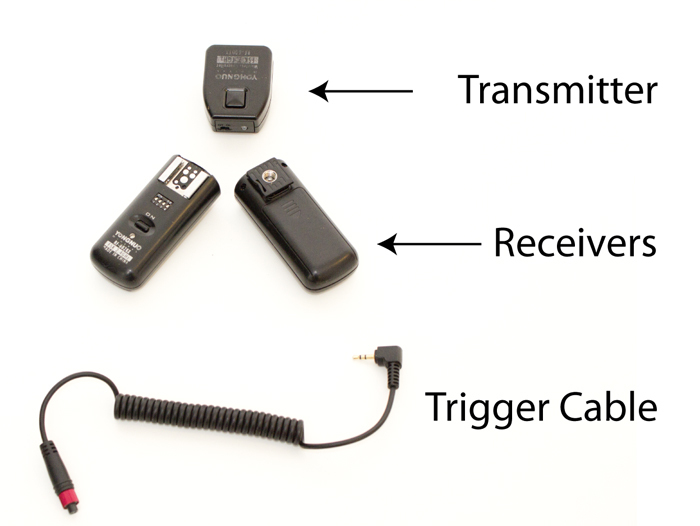 If the transmitter is mounted on your camera, the trigger will command receivers to fire flashes or other cameras mated to receivers with a trigger cable. I have been using the Yongnuo YN-602 triggers, but many of the more modern ones use a transceiver design, with each unit being able to act as both a transmitter and a receiver. The YongNuo products are cheap, and a transmitter with two receivers is about 54 bucks. Other brands may be even less expensive. How does this work in practice and what can it be used for? 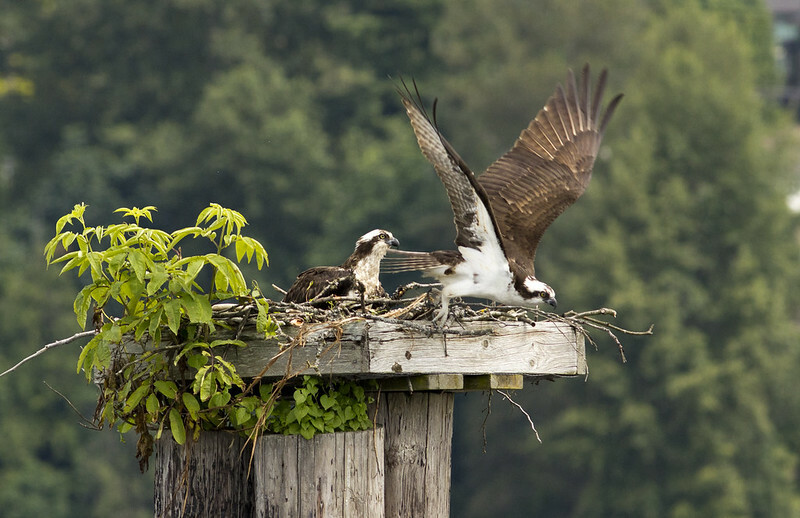 Well, this summer, while sitting in front of this Osprey nest in Port Moody, I had my camera set up on a tripod, with a 300 mm lens aimed and focused on the nest. Rather than stand by the tripod with my finger on the trigger, I mounted a receiver on the hotshoe and held the transmitter in my hand. This way I was free to move around and not jostle my camera while waiting for the very infrequent visits by the adult Ospreys. When an osprey was about to land, I would trigger the camera, which was set to high speed burst mode, and get some shots…Maybe not the most elegant shooting, but fun and relaxing. 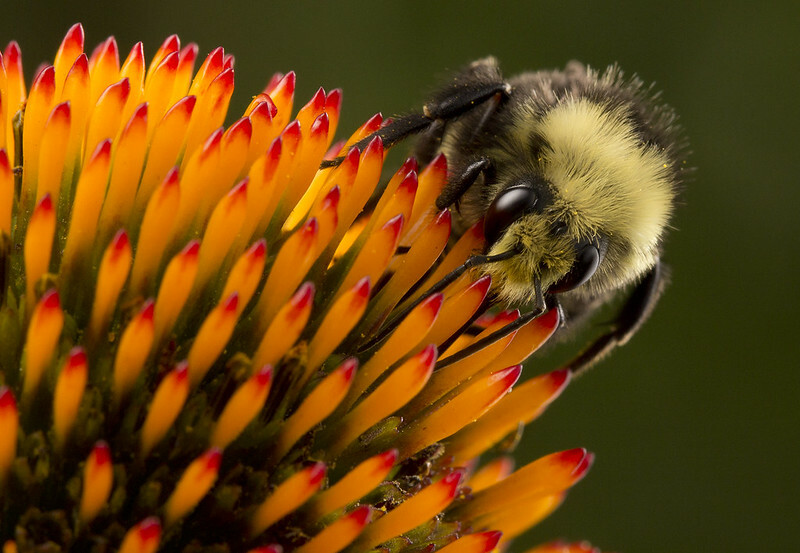 This Bombus vosnesenskii, was taken with my 100 mm lens and Yongnuo triggers firing the two speedlights mounted to a special bracket on my camera (to be covered in an upcoming post). In this case, the trigger is being used for its most common purpose, namely to trigger flashes. 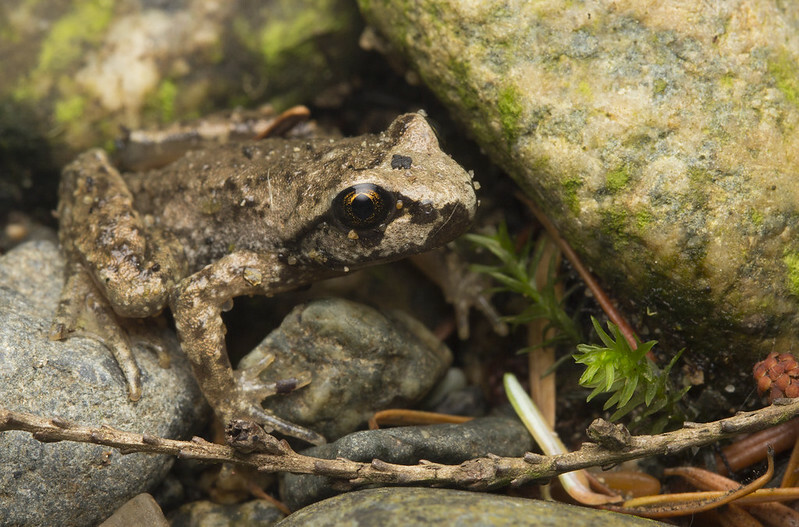 A sidelong portrait of the charming Tailed Frog (also to be covered in an upcoming post) was also shot using the trigger to fire a flash, this time with a single speedlight with a Cheapskate Diffuser over the frog. 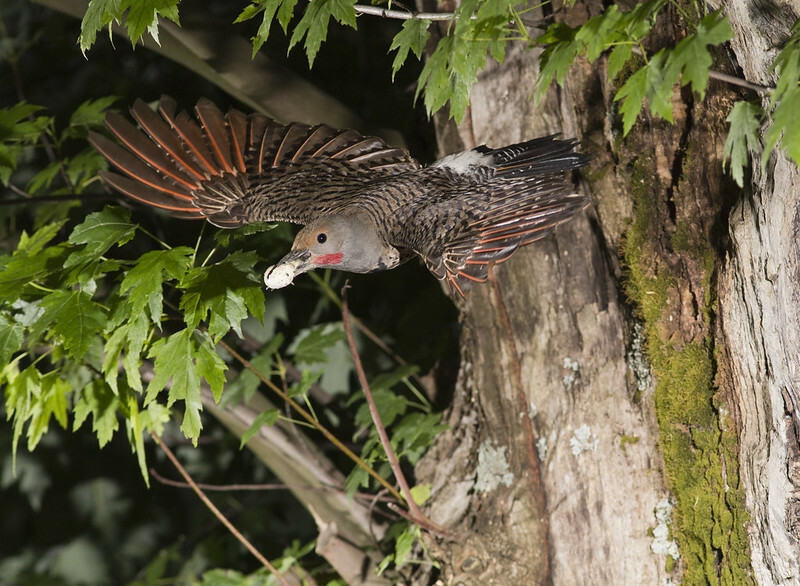 This unusual shot of a male Northern Flicker (Colaptes auratus) cleaning out the nest hole of baby poop was a bit more involved. It used two Yongnuo transmitters, one in my hand commanding a receiver attached to the “cable release” ( a 2.5 mm jack) to trigger the camera (as with the osprey shot), and the other transmitter on the hotshoe commanding a speedlight near the nest to fire. This froze the bird in flight, and allows us to see what was going on. These triggers can also be used for other things, such as triggering studio mains and other larger lights. Another useful trick is to combine them with Magic Lantern software to trigger recording of video on Canon DSLR’s. Probably the coolest usage would be to use them to trigger your camera in situations that would be impossible or too dangerous otherwise such as near shy or dangerous animals. The range is about 100 m or so, so you will have lots of room! These things are versatile and cheap, so get trigger happy! Its surprising how simple accessories, like remote trigger cables, are so overpriced. I made my own from an old phone’s handsfree kit. The price of cables is one reason why I advocate these triggers! It is also difficult to find cables that allow multiple flashes to be used at once. Just recieved a similar system, and I hope to get it working wiht Magic Lantern soon. Thanks for the tip!